I’m cracking open my Robert Frost lately for writing inspiration and a slower pace. This line resonates in my soul right now even though October flew the coop this weekend and left behind that non-stop rush toward all. things. holiday. Begin the hours of this day slow. Yes, please. In my critique group last week one of my fellow writers commented that she just doesn’t know how I find time to write and mother and you know, do all the things. I’ve been pondering on that a little this week as I wrapped up 31 Days and listed some story ideas for National Novel Writing Month. Truth is, in order to write like I do, I’ve had to let some other things go. Big things. Like dishes. And laundry. And clean floors. And couponing. But my go-to solution for the busy season of my life right now–in which no morning seems to creep in slow–has been ePantry. That one decision to jump on the bandwagon and order cleaning supplies online, supplies that don’t make me question if I’m heaping toxins onto my kids, has helped me freshen my house in less time and with less stress. Our chore chart helps with that too. 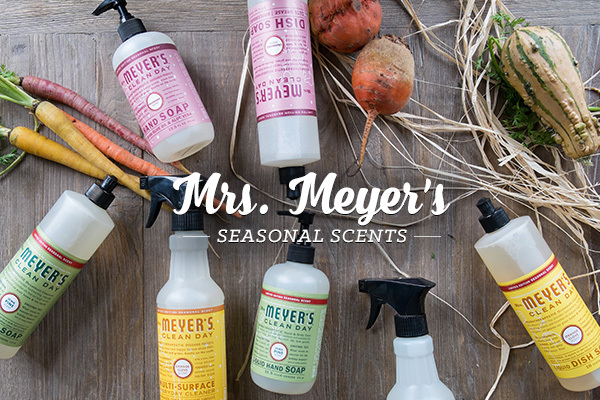 This week ePantry is offering my readers the opportunity to get festive–and get clean–with Mrs. Meyer’s Seasonal scents. Available in Cranberry, Orange Clove and Iowa Pine so you can imagine yourself in that yellow wood of Frost’s while in reality, you’re doing the everyday drudgery of a blessed life. 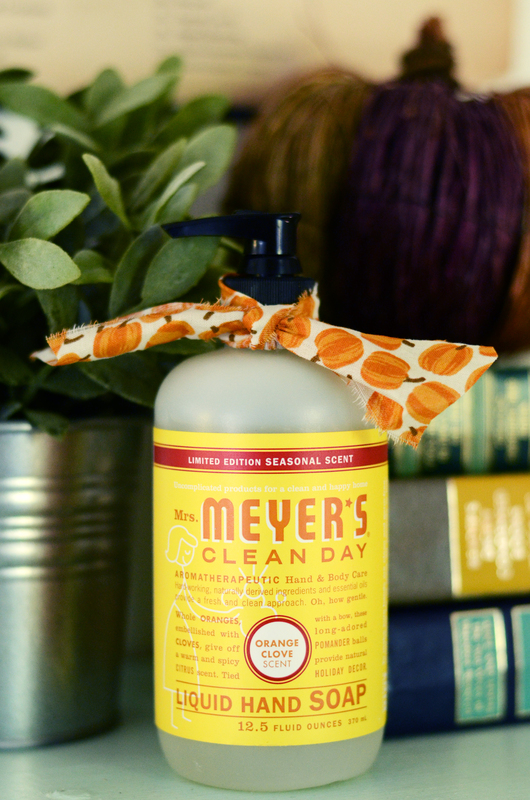 Sign up for ePantry this week and receive a Mrs. Meyer’s hand soap, dish soap, multi­-surface cleaner for free with a $20 minimum purchase. That’s a $20 value which is pretty good payment for five minutes of shopping between school pickup and Christmas play rehearsal. When you sign up, ePantry will ask you a few questions to help predict what you and your family need and how often. Then, each month, ePantry sends a reminder email before your order ships so you can easily review and customize it. Especially during the holidays, I am grateful for reminders! Sign up for ePantry through my referral link. ePantry is offering the lovely Mrs. Meyer’s 3 piece set free to my favorite readers who sign up through my referral link! Answer a few quick questions about your family and how clean your home is (be honest)! This only takes about 30 seconds and customizes your first basket. Once you’ve answered the questions, you can finalize the basket of products ePantry and I have tailored to your needs or you can create your own basket of awesome products by adding or removing. For some of my favorites, check out this post. To receive this offer your order needs to total $20. Choose the combination of products and scents you want to receive in your first box for all your holiday cleaning needs. You made it! Click finish & pay, place your order. Then wait for the mailman. Already hooked on ePantry? Existing customers click here to get a free seasonal hand soap in your next order. Don’t forget this special offer is only available until November 19 or while stocks last. And while you’re online treat yourself to a little poetry. Because life is more than just getting it all done. This post contains affiliate links that buy me coffee while I’m writing, but opinions are 100% my own. Always. Do we have to purchase something each month in epantry? I’m stuck now in a program having to buy and not wanting product. No, you can cancel anytime. Or skip months. Just pay attention to your email because they’ll email you before an order ships.